Meet three professionals in charge of helping people of all ages, across the complete spectrum of psychological difficulties. We asked them questions that we thought would demystify the process for those seeking psychiatric and psychological treatment, and show that help with mental health-related issues shouldn’t only be considered when things are at their worst. Dr. Salinas is a psychiatrist with Beijing United Family Hospital’s Psychological Health Center, and has over 11 years of clinical experience. Her interest areas are mental illness in the young adult population, and in the impaired professional population. When she’s not guiding her patients through a range of psychological issues, she also enjoys writing children’s books which also touch on these topics of mental health. Making that step towards getting treatment for mental illness can be a difficult one. Do you have any advice for people that are trying to decide whether or not this is right for them? Salinas: There is a whole industry out there of coaches and life coaches, and I always get the feeling that people don’t usually have an issue consulting with them. I see what I do the same way. How do we make your life better? How do we make your life the fullest that it can be? There will be bumps and dips in anybody’s road, but how do we make these more manageable for you? There is a stigma with mental health, but I think if we start looking at this more from the perspective of life coaching and a perspective of overall well-being, it’s important to this more holistic approach. No one ever says, don’t go see the doctor for your yearly exam, why can’t it be the same way with psychiatry? Why not have that same type of attitude towards it? Just, general checkups to make sure that everything is OK.
How do you think a yearly mental checkup could be implemented? Salinas: What we rely on quite a bit is our peers and our colleagues in primary and specialty care. Good doctors will be able to pick up if this individual has an anxiety or depressive disorder, and then may suggest to them to go see us. I think the harder anxiety disorders are more chronic and people find ways to live with them, and there can be a lot of resistance on letting that stuff go. We do know though that life does get easier and better when the anxiety lifts, or when people start addressing that in a different way. Would you say that part of the stigma of mental health is that many people don’t often view these illnesses with the same gravity as a physical illness? Salinas: There are differences and there are similarities. I think we have historically and culturally looked at it as very different, but we are starting to learn more and more biological aspects of mental illness, and we have to view it more like diabetes or more like high blood pressure, where these are chronic illnesses that need chronic attention. We don’t necessarily see diabetes when a person walks into the room and we don’t normally see depression. We may see a broken arm, but biologically we are starting to understand depression and anxiety in a much more fundamental way to make it very similar to these other chronic illnesses. There still aren’t any blood tests or MRIs that can be used. What we rely on are our rating scales, inventories, clinical judgment, and clinical interviews to make diagnoses, and also to follow the illness through its progression or improvement. Dr. Hu is a psychologist in Beijing United Family Hospital’s Psychological Health Department and has over 10 years of clinical experience practicing psychology. Before moving to China in 2016, she worked as a therapist in hospitals and outpatient mental health clinics in both the Boston and New York City areas. In her free time, she teaches yoga and collaborates with dancers and architects to create cross-disciplinary art installations. How do you work toward building trust with your patients? Hu: Things that I do, and things that I think most therapists do, are basically, one, provide a time and space where people know that their concerns, no matter how insignificant they think they are, are significant here, because their feelings are probably related to all sorts of other things going on in their lives. I also do a lot of reflections, so you reflect back to people: “I think what I heard you say was this,” or “I imagine if you are experiencing this, you must be feeling this.” When you are able to be with people in their experience, it allows them to relax. It allows their bodies to relax, and they are more willing to open up and talk. Because we are human beings and we take comfort in predictability, is there a balance between talking about things that can be frightening for people and things that are more comfortable for them? Hu: I think that’s a really important balance, particularly for people with trauma, because there is that feeling of insecurity or fear that can be pretty constant in their lives. A lot of what most therapists do is to establish this safety and comfort. That’s the priority. It is only within this safety and comfort, that someone is willing to look at things that scare them. Part of my professional experience is to read people, to notice when they’re feeling anxious, scared, or otherwise overwhelmed. What would you say the differences are between a wellness class and therapy with a psychologist? Hu: There is a therapeutic frame and there are boundaries to this interaction that allows it to be safe, and we work within these boundaries of confidentiality, time limit, and therapist-client relationship. There are different boundaries in a wellness class. There are also things that are allowed in the therapy room that may be frowned upon in a class. So, you can yell in here if you want to, and as long as you feel safe we can talk through it and understand what that’s about. We can’t normally do that in a yoga class, as you are asked to contain outbursts. Dr. Yang is a licensed psychologist, a health service provider in psychology, and a registered play therapist-supervisor in the United States, and Hu is the General Manager of LIH Olivia’s Place and an occupational therapist. They explain to us the benefits of seeking help in an environment like Olivia’s Place that is specifically engineered with the needs of children in mind and ways that parents can take an active role during the treatment of their child. How do you begin to help kids take a more engaged role in their therapy? Hu: We are treating children with social or emotional problems. The older ones like to keep to themselves. So they don’t really talk to you that much in the very beginning. It is important to bring yourself down to their level and play by their side. You don’t just jump into the treatment. For some children, you will need to take about two or three sessions before you start with anything therapeutic. How are parents involved in this process of therapy? Yang: A child’s stress becomes a parent’s stress. We encourage parents to provide positive attention to their child, such as scheduling a special playtime that is child focused. Parents are busy, and it’s very difficult to do it every day. It is also very important to give support emotionally. Listen to and ask your child about everything that has happened throughout the day. Listening will help the child to feel like the parents understand, and support them. Also, encourage the child to engage in social activities with their peers, this helps in dealing with difficult feelings too. Hu: Sometimes we feel, especially for psychological problems, that the child is a perfect reflection of the family. So you need to involve the family, otherwise, things won’t change that fast. What makes Olivia’s Place unique among other child-focused therapy providers? Yang: In China, a lot of people need help but the number of professionals that can provide these services is low. We’ve been trained overseas and have a high standard, and not everyone has the same concept of legal ethical conduct or professional training to deal with some of the difficulties they say they can treat. Hu: Also, most parents don’t have the ability to differentiate. For example, when someone might have experienced a false version of play therapy, they might come here and say they’ve tried that even before experiencing Dr. Yang’s efforts. Dr. Yang is probably one of a few doctors in Beijing that are certified in play therapy. So we only use qualified and certified people. 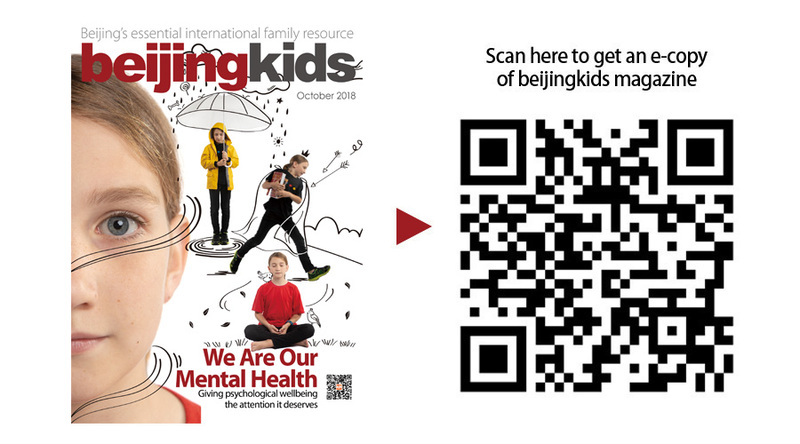 This post appeared in the beijingkids October 2018 Mental Health issue.